For low-income students, getting accepted at a good college is only half the battle. Often, students are left with crippling debt upon graduation, or are unable to complete their education due to loans that they cannot to repay. 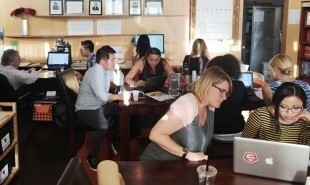 Founded by author Dave Eggers in 2010, ScholarMatch is a nonprofit which enables donors to support struggling students financially, which has raised nearly USD 1 million to date. But financial support will only go so far — more often than not students need guidance. So last month ScholarMatch launched a new tool called ScholarMatcher, which enables prospective students to search for affordable, high quality institutions. 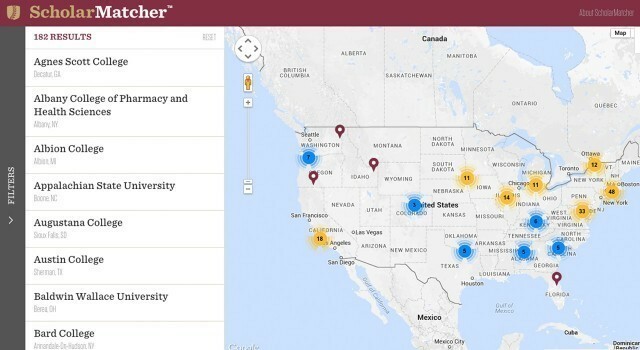 ScholarMatcher, created by executive director Diana Adamson, aggregates data about a college’s academic quality, financial aid, student support, and postgraduate success. It then filters out institutions that fail to meet its criteria. Students are then able to explore this 296 strong college database in the knowledge that any school they choose to apply to has the potential to provide them with an affordable, quality education with good graduate prospects. Could this model be applied to the other saturated industries?